Audi Ireland has announced that it will be extending its limited offer of 1.9 per cent APR across all Audi A3, A4 and A6 models registered before April 30. In addition to the exclusive PCP rate, Audi Ireland says that it is offering motorists exceptional offers on 181 cars across their range of models. Packages include the recently extended Audi ‘Scrappage EcoGrant’ scheme - offering savings of up to €6,500 - as well as upgrade packages tailored to meet the lifestyles of both existing and future Audi drivers. Audi says that their A3 is available from €249 per month PCP. With its innovative design and sophisticated technology, the Audi A3 is the perfect example of Vorsprung durch Technik. 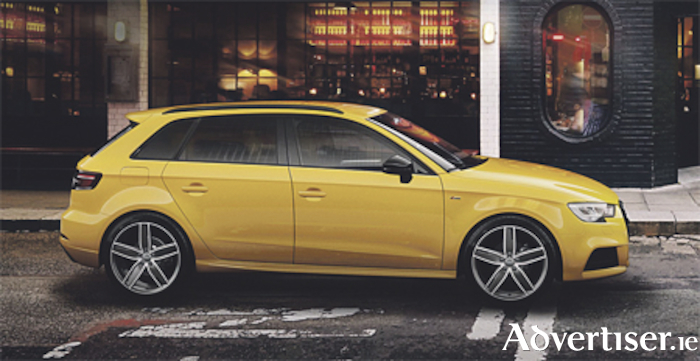 The A3 models, which include the A3 Sportback, A3 Saloon and A3 E-Tron demonstrate the models versatility, combining innovation of design and technology, making it a versatile choice for all sorts of lifestyles. It adds that the A4 is available from €319 per month PCP. The striking Audi A4 model boasts a range of upgrade packs. The sporty yet sophisticated A4 SE Edition 50 upgrade package includes a metallic paint finish, 18” alloy wheels ambient lighting pack, front parking sensors, comfort armrest and heated front sports seats. In addition, the Audi A6 is available from €399 per month PCP. The iconic A6 comes with a number of exceptional upgrades, such as the Audi A6 SE ‘Comfort Pack’, which includes 18” alloy wheels, MMI Navigation plus with touch pad, smartphone interface, reversing camera, LED interior lighting package and wood inlays. Furthermore, Audi says their striking A6 S Line model is available with a similar ‘Comfort’ upgrade package as above with additional features such as 19” alloy wheels, flat-bottomed steering wheel and Valcona leather finishing. Audi Ireland and Today FM are giving away 15 tickets to an exclusive two-day Audi brand experience in Germany. The 15 lucky winners, along with a guest of their choice, will fly to the global home of Audi in Ingolstadt on June 28 and 29. The exclusive prize will include a full day of adrenaline-fuelled action, with the winners getting the chance to drive the Audi R8 V10 Plus, Audi S5 and experience the Audi Q7 in a fully off-road environment. They will also get behind-the-scenes tour of the Audi factory and the Audi Museum. Audi customers who book an Audi Major Service at www.AudiService.ie before April 30 will automatically be entered into the draw to win one of the first 10 places. The winners will be selected at random and will be announced at 3pm on April 30.